It's been a long time coming, but Grubbee is finally back. I have had quite a decent break since being unwell with morning sickness, and now having a new baby, but all of a sudden I really wanted to start sewing again! Having baby on the mind a lot has made me shift grubbee slightly towards baby and toddler goods. It's the same great quality with some extra cuteness. Obviously time with two kids is a little bit stretched, but here is a sample of what I have available. 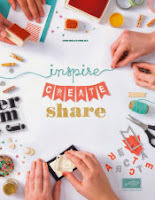 Visit our madeit store if you would like to purchase anything. Make sure you like us on Facebook too so you can keep up-to-date with what's new and participate in competitions. 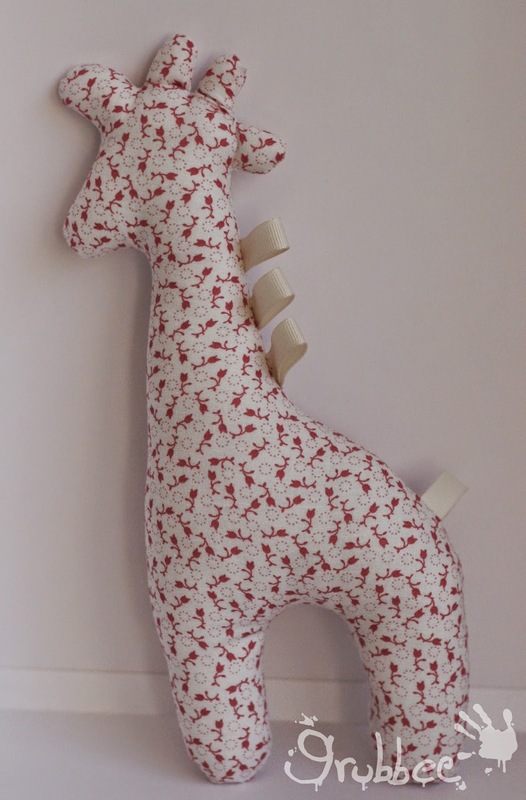 Standing 24 cm tall, made from quality quilters cotton and filled with polyester fill. Tags are double stitched ribbon. Even my 2 year old loves these! She takes hers to bed every night. They are great for cuddles. Measuring approximately 25cm x 25cm, made from quilters cotton and minky dot. Ribbons are double stitched for security. 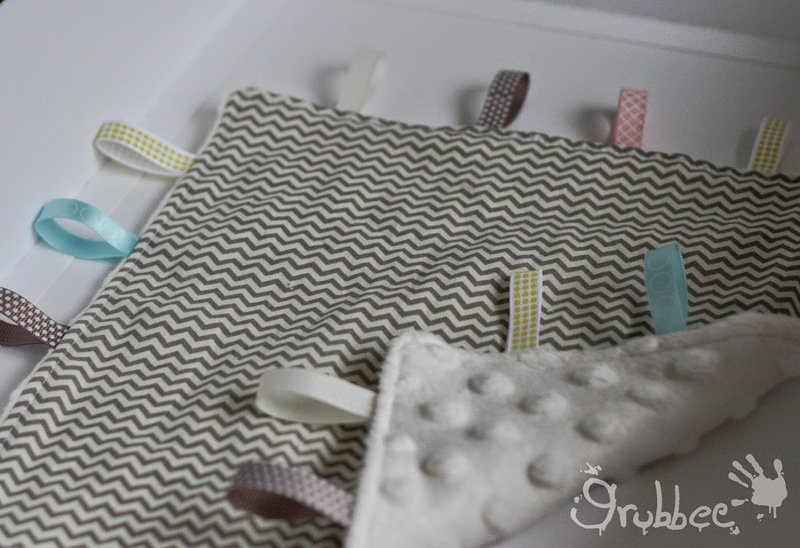 A great security blanket for little ones and will keep them busy. These are really cute! 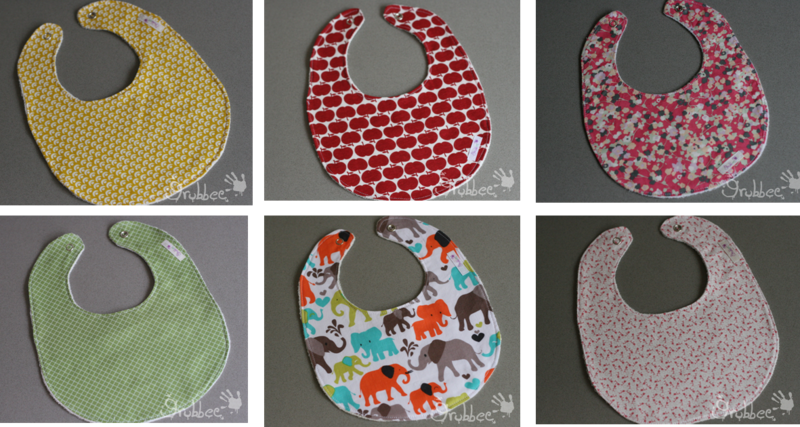 Perfect for little bubs, to catch the dribbles and when trying first foods. They measure approximately 14cm from the neck to the base and close with a metal snap fastener. Made from quality quilters cotton, or jersey knit and backed with absorbent Terry cotton. Lightweight, easy to care for and gentle on bub. We have the perfect new baby gift ideas! 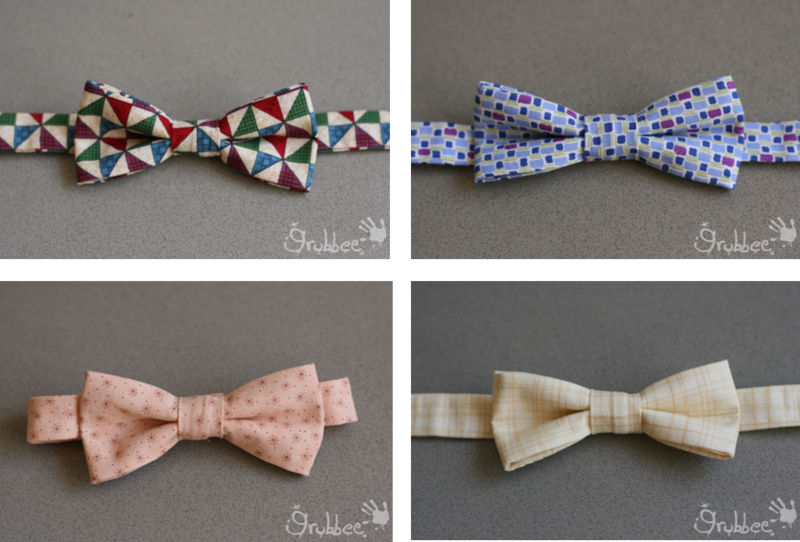 I've decided to bundle this time, making it easier and cheaper for you to find a gift. All our skirts are reversible, so that's twice the skirt for one great price! 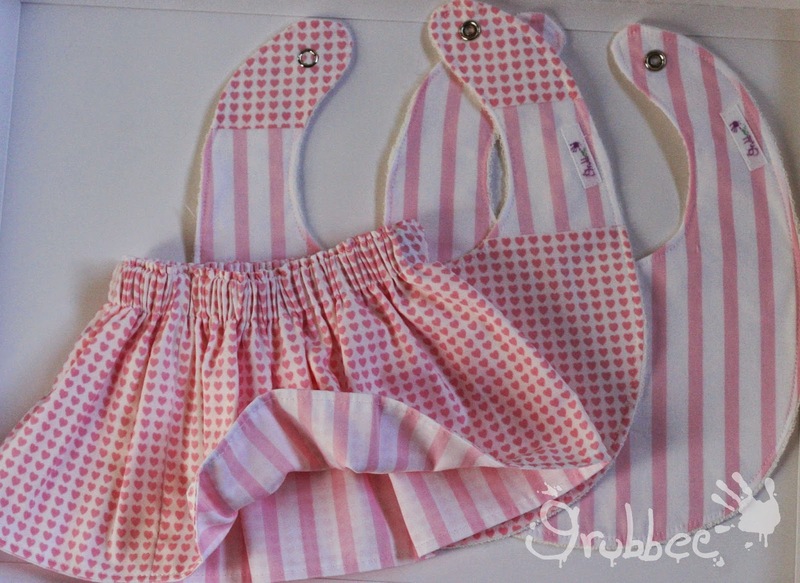 Skirt and bib bundles are great for new babies, and skirt and hair accessory bundles are perfect for that special toddler. I think these are my favourite at the moment. They are super cute. 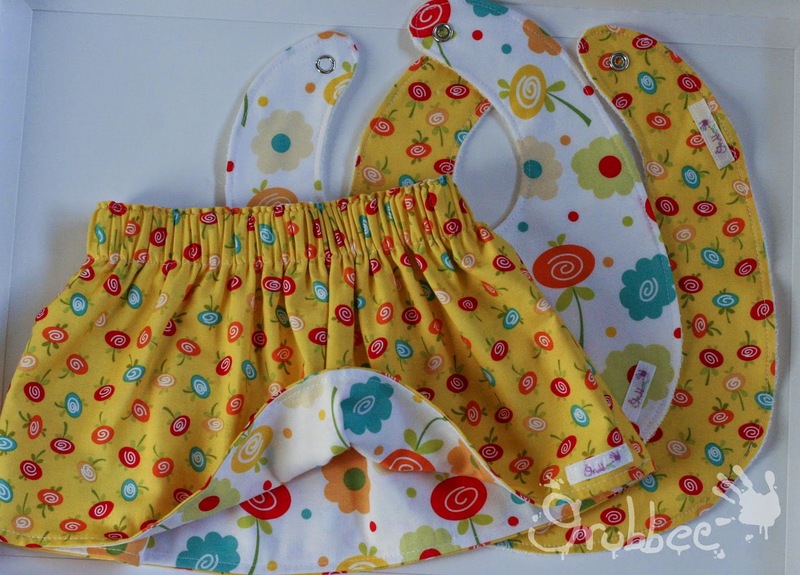 Shorts and skirts are made from 100% cotton and the store bought onesie is appliqued to match. How cute are they!? I love these too :) Made from 100% cotton with a velcro closure. They are available in two different sizes - 0-2 years and 3-6 years. I'm sure I could always make a larger size too, for the big kids. 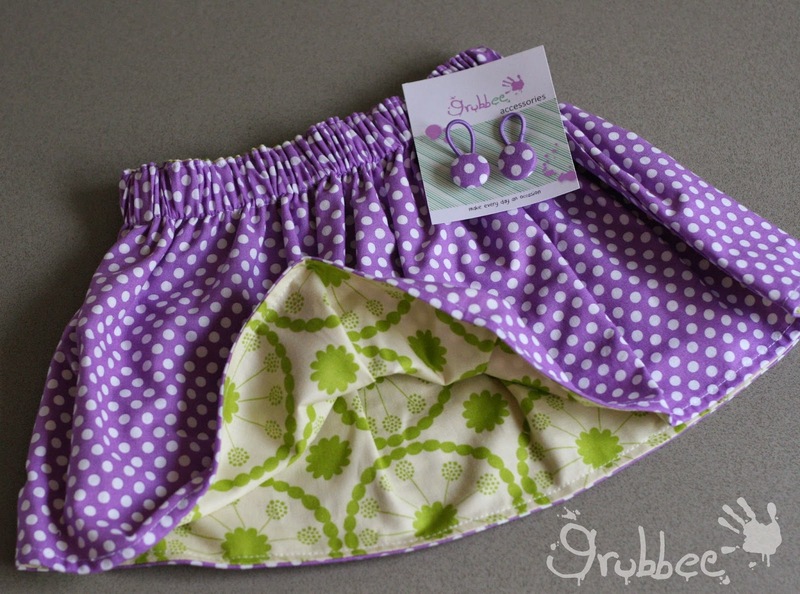 This is something new for grubbee but the perfect accompaniment to any grubbee gift. At the moment I've only made new baby cards, but plan to make some birthday cards too. Each card is handmade using quality Stampin' Up! products and comes with an envelope. So be sure to check out our selection of cards before you finalise your purchases. There you have it, our new product range. Make sure you stop by and like our facebook page.